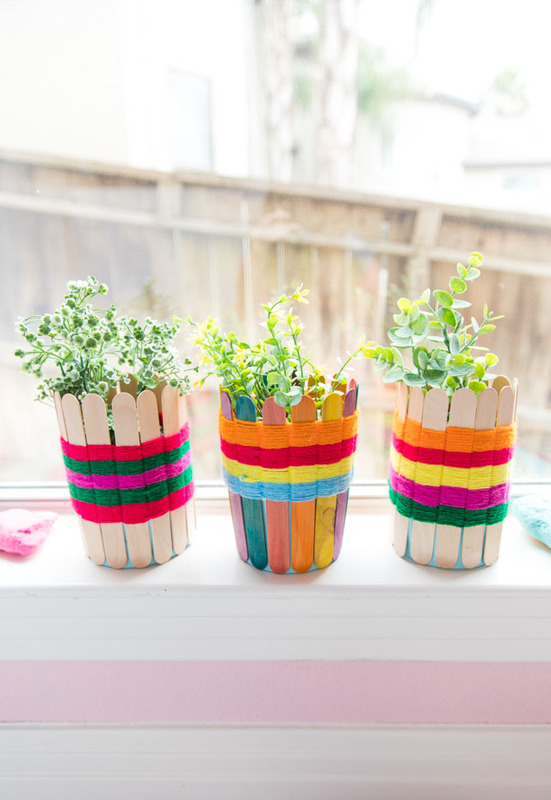 My latest DIY project just makes me smile! 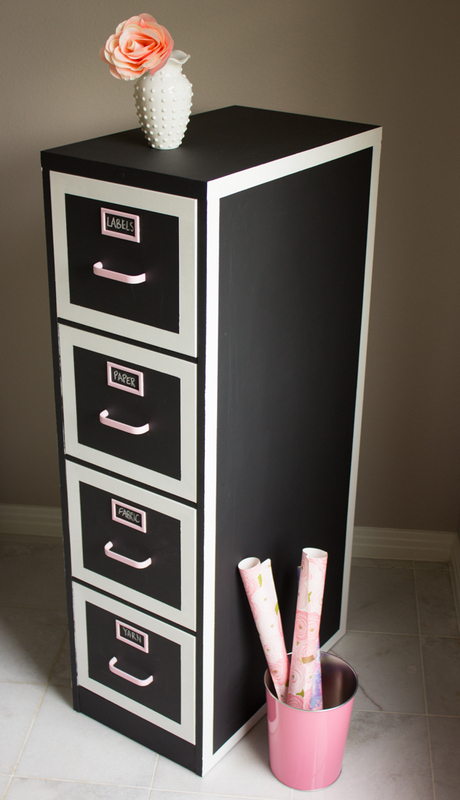 It’s an old file cabinet turned craft supply storage. 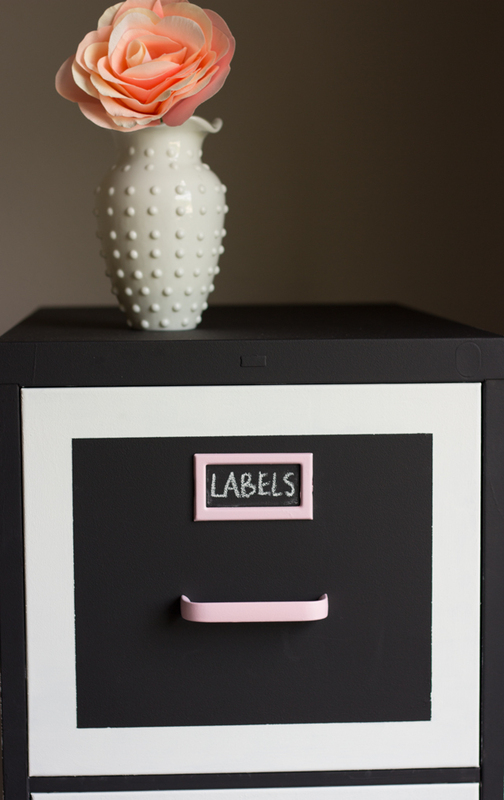 For someone who specializes in quick and easy crafts, this file cabinet makeover using chalkboard paint was one of my biggest undertakings to date. I probably spent 8 hours working on it over the course of a couple days, but I am super excited about the results. Yay for more storage!! 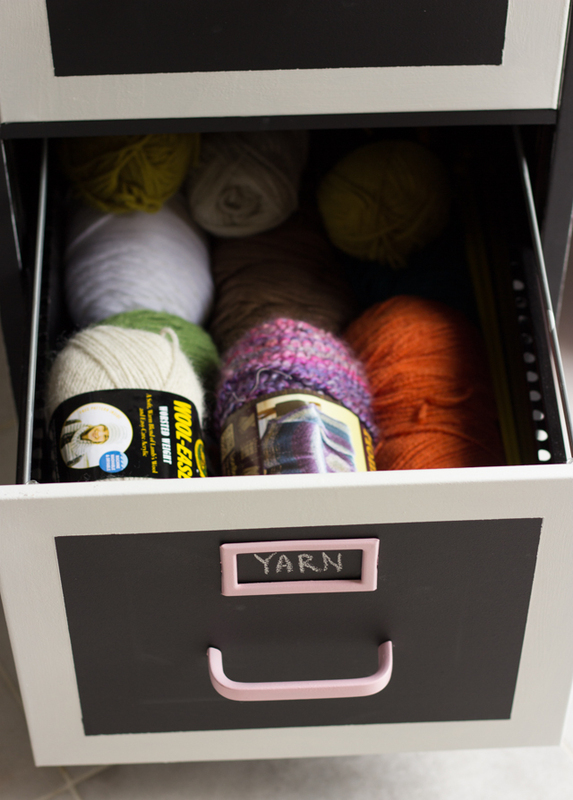 The deep drawers of the file cabinet are perfect for holding larger supplies like fabric and yarn. 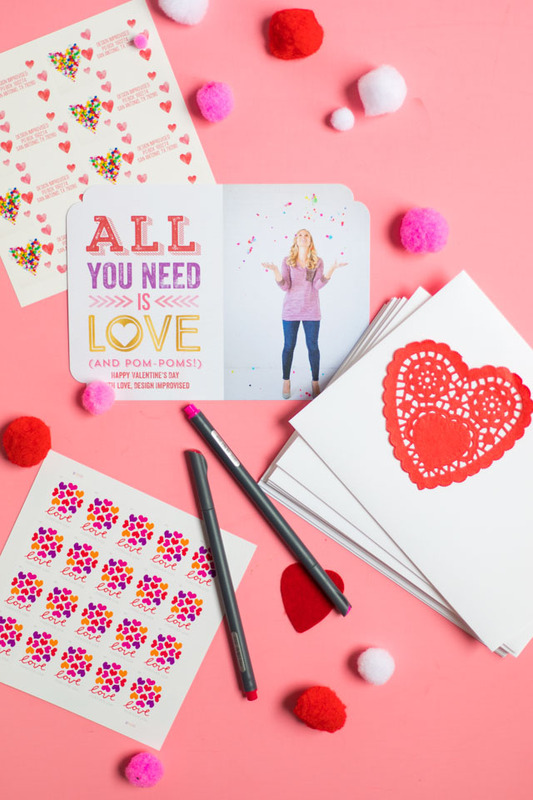 Oh, and did I mention it is a blog calendar too? 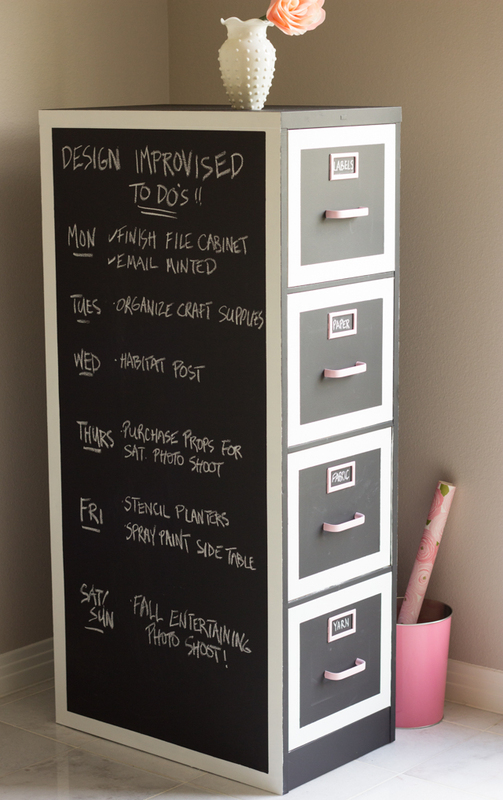 I covered the whole thing in Rustoleum chalkboard paint. 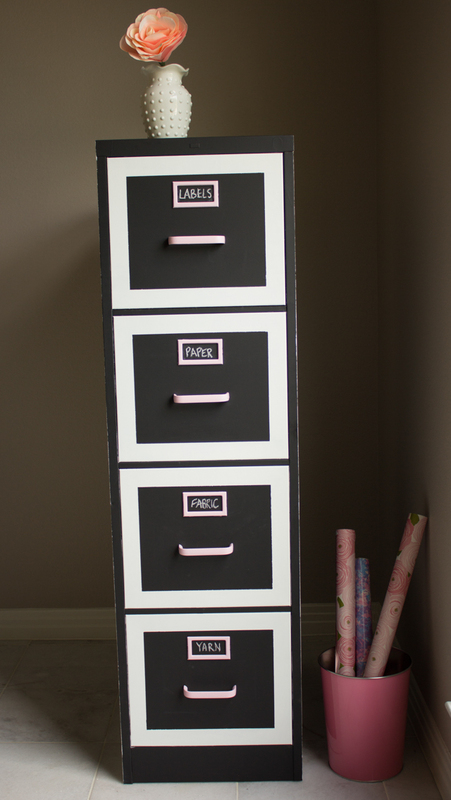 I also painted the hardware a light pink to give it a feminine touch that works well with my pink office. 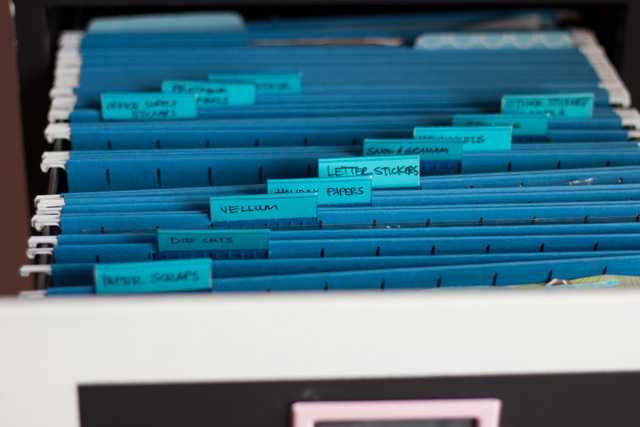 Would you believe the file cabinet used to look like this? I found it at my local Habitat for Humanity ReStore here in San Antonio. 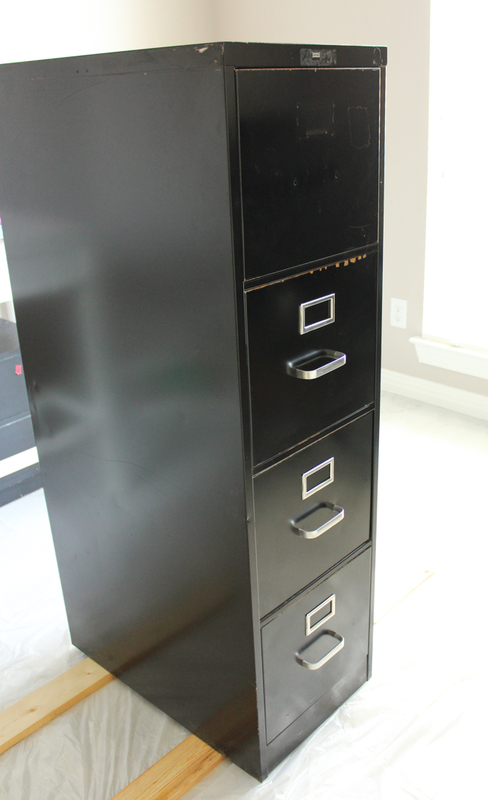 They had several of these old file cabinets in various colors and sizes for sale for $50 each. While no stranger to thrift stores, it was my first time in a Habitat ReStore, but let me tell you it won’t be my last. The store was full of materials salvaged from homes – cabinets, doors, tile, lighting, furniture – you name it. I was amazed by the variety of materials they carried and their prices are hard to beat. The best part, all of their proceeds from the stores benefit the Habitat for Humanity. With tons of locations across the US, there is bound to be one near you too! 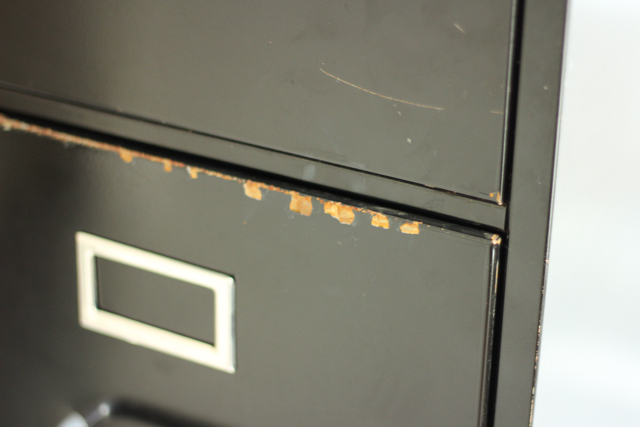 As I was on the lookout for more office storage, the file cabinet immediately caught my eye. See below for a step by step tutorial of how I transformed it! 1. 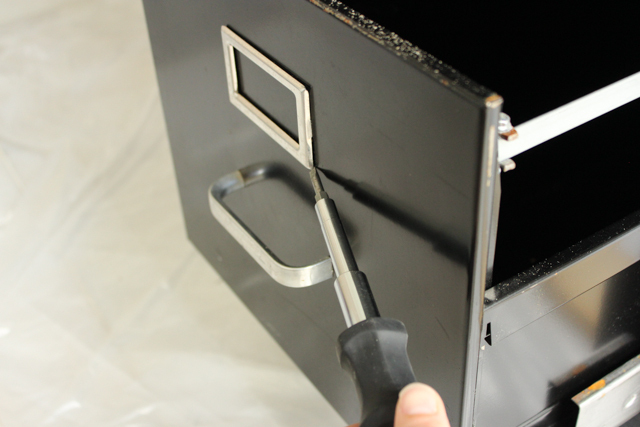 Remove hardware – you can pry off the card holders easily with a screwdriver and unscrew the pulls from the back using a socket. 2. 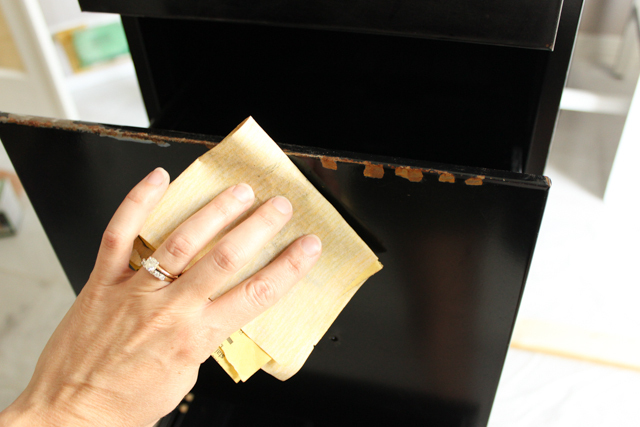 Sand the filing cabinet – be sure to sand down any rusted areas and give the whole cabinet a light sanding to help the paint adhere better. 3. 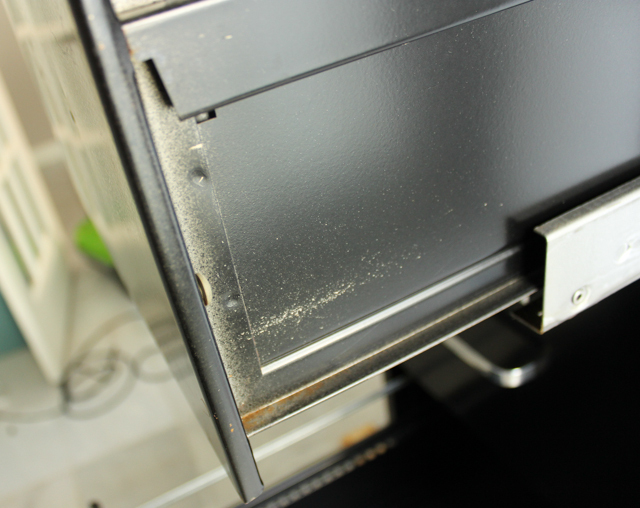 Clean the cabinet well – my cabinet was pretty dirty when I got it. Once I was done sanding I vacuumed it and then followed up with a microfiber cloth and water to remove all the dust and grime. 5. 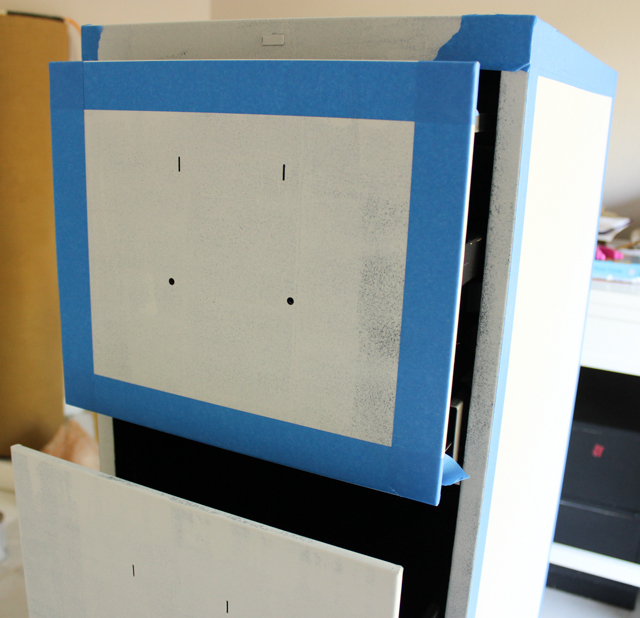 Paint white details / tape off lines – here’s a silly mistake I made, that I want you to avoid! 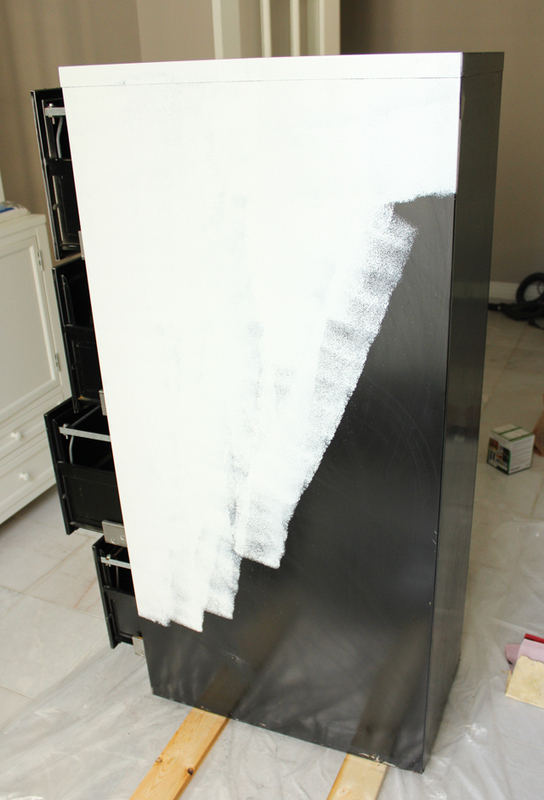 I taped off the lines (where I wanted the cabinet to be white) after priming. What I should’ve done is painted white around that general area first and then taped them off and painted the rest black. That would’ve saved me a step! 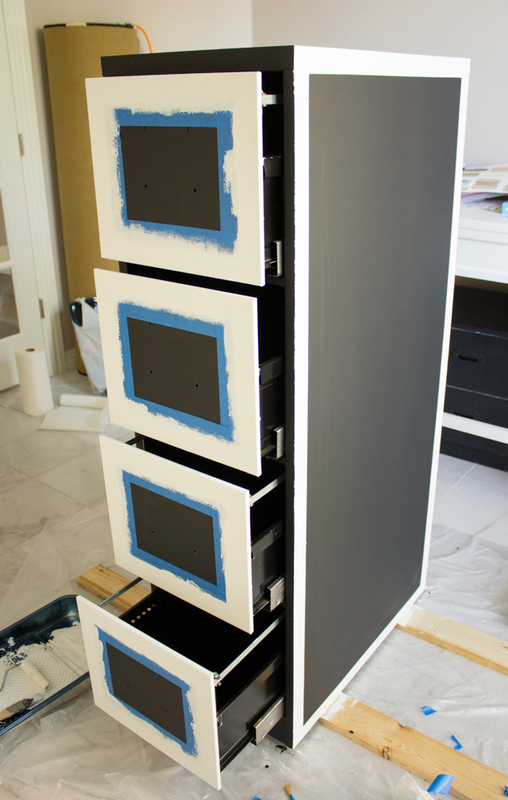 Instead I had to re-tape everything after painting the cabinet black in order to paint the white lines on top. Make sense? 6. 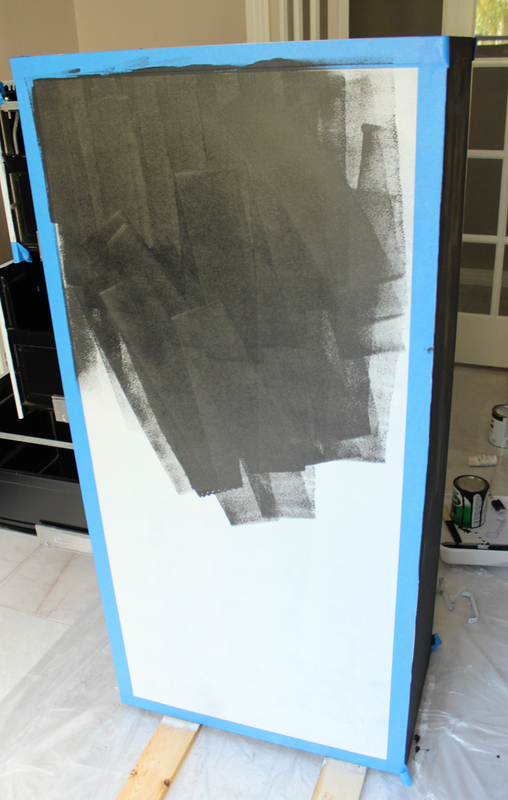 Apply chalkboard paint – I applied three coats just to be safe, waiting 4 hrs. between each. 7. 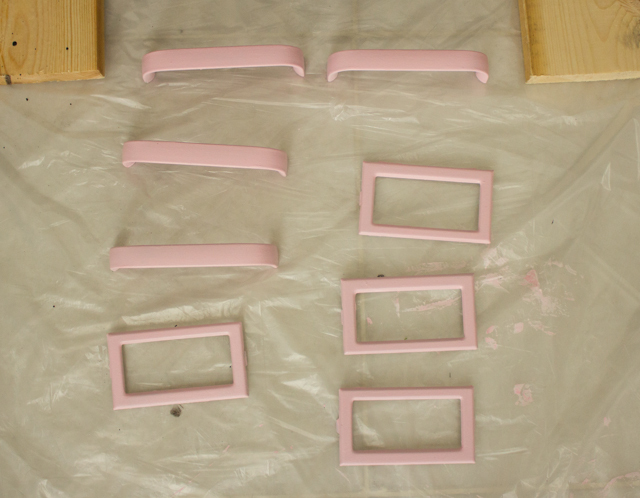 Paint and seal hardware – I had some pink multi-surface craft paint on hand, so I used it to paint my hardware. First I primed the hardware and then applied a good 6 coats of the craft paint to get the coverage I wanted. Finally I gave them a spray of polyurethane sealant to better handle wear and tear. 8. 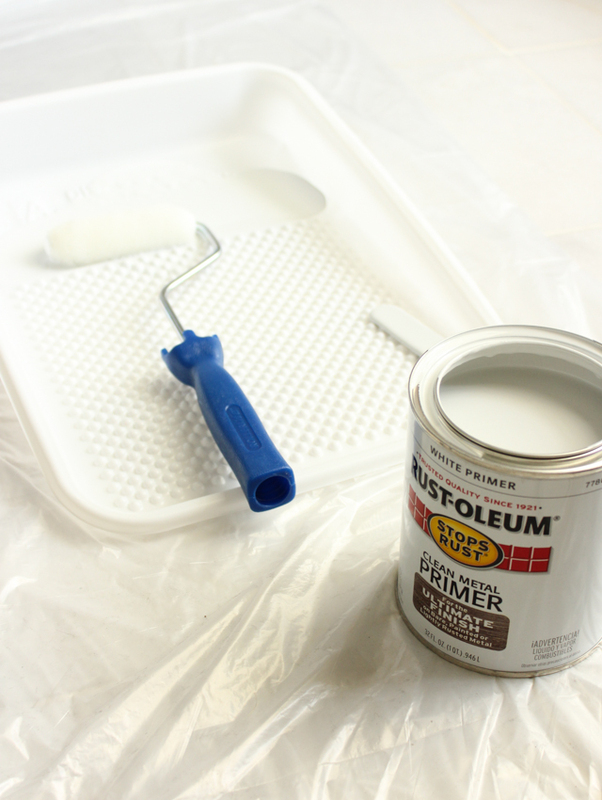 Touch up any imperfections – after taking off the painters tape, some of my lines had spots where the paint had seeped a bit. 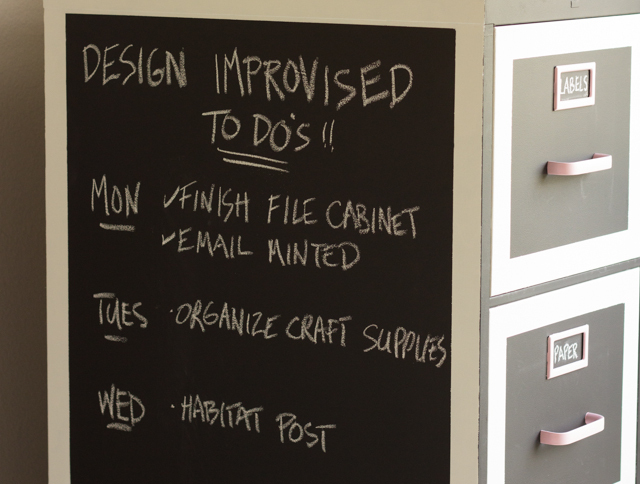 I used a small paint brush to touch up those areas with chalkboard paint. 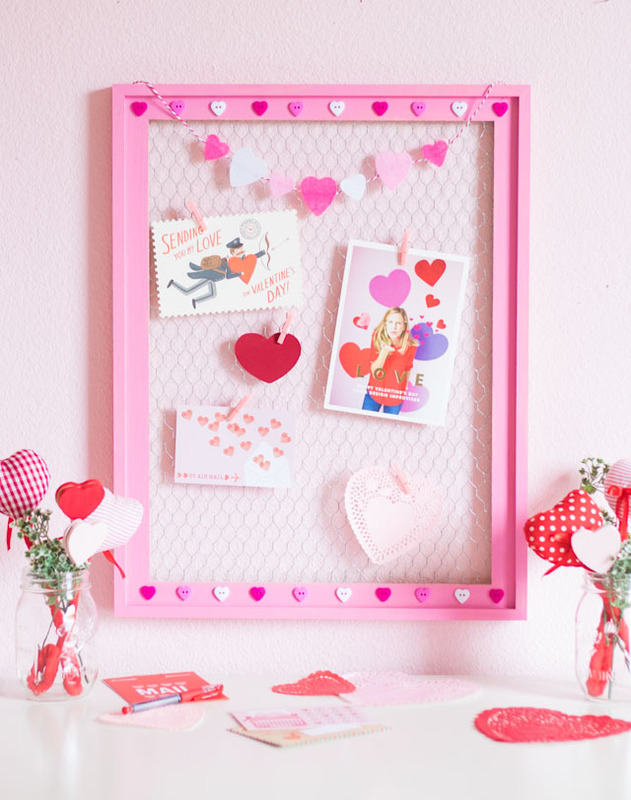 Want to see more of my craft room? 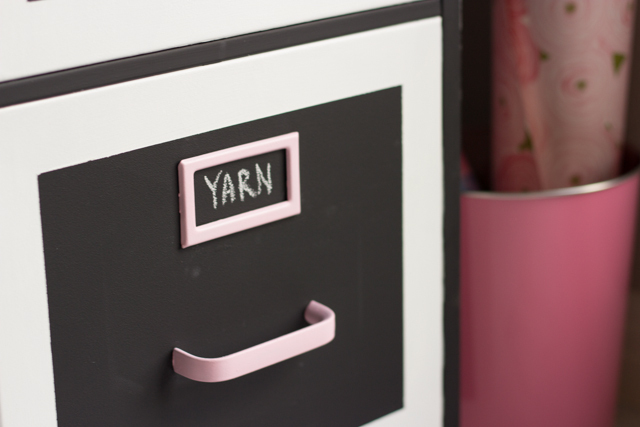 Don’t miss my craft room reveal and craft storage tips. Are we connected on Instagram? 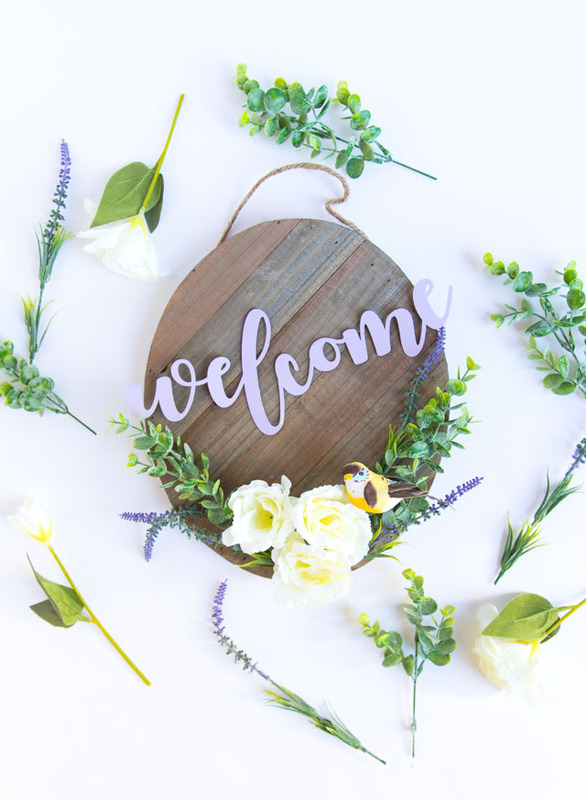 Follow @designimprovised for my latest DIY projects! 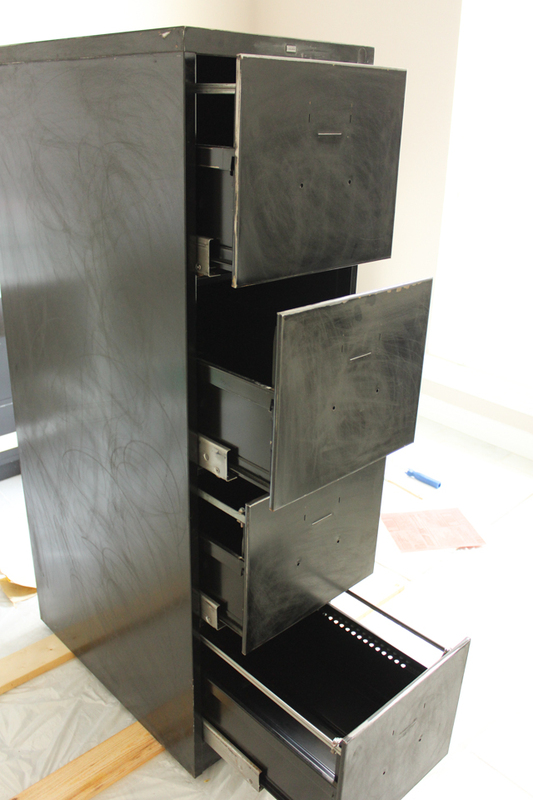 Habitat Home Center of San Antonio provided the file cabinet for this post.